Shillong, Apr 30 : Following the direction of the union government, Tripura and Meghalaya will ban the sale, manufacture and distribution of gutka (tobacco-laced areca nut pieces) and pan masala (a chewing mixture), officials said on Tuesday. Assam, Nagaland, Arunachal Pradesh, Manipur, Mizoram and Sikkim have already banned such products. The Supreme Court earlier this month directed 23 states and five Union Territories to file status report on the implementation of the notification issued by them banning these products and also asked the remaining states and Union Territories to explain the reasons why they have not imposed the ban so far and the time they need to do so. 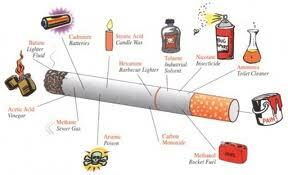 “Mizoram, Nagaland and Tripura have emerged as the maximum tobacco consuming states in the country. Incidence of cancer has been rising alarmingly in the hilly North Eastern region, almost half the cases being attributed to consumption of tobacco products,” Goutam Majumder, superintendent of Regional Cancer Centre in Tripura, said. He said that people who use tobacco in public places should be punished and an awareness campaign should be launched about the cause of cancer. According to official figures, the number of patients registered with the regional cancer centre in 2006 was 1,263. The figure increased to 1,386 in 2007, 1,444 in 2008, 1,524 in 2009 and 1,836 in 2010. According to the Population-Based Cancer Registry (PCR) in Mizoram, cancer is on the rise in the mountainous state with 600 to 650 people dying of cancer annually in the state.